Treating brain conditions- from common to rare- our team of expert & experienced neuro specialists and neurosurgeons have been at the forefront of providing disease specific & patient focused approach across a spectrum of neurological disorders including tumours of brain, spine and the nerves that connect them; Parkinson’s disease, epilepsy as well as cerebral palsy, stroke and mental & psychiatric health disorders among others. It is a kind of neurological disorder which is characterized by unpredictable and unprovoked seizures. Among its most commonly known causes are brain injury or family tendency and can affect people of all ages. With the help of medication, proper care, and dietary therapies, it can be kept under control. A more serious kind of neurological disorder, it is often classified as benign or malignant according to the grades. The higher the grade number, the more aggressively the tumour behaves. A progressive nervous system disorder, it affects the movement by causing severe dexterity and speech issues as it advances. Although it can’t be cured, but with proper medication and care, the patient’s condition can be controlled and even improved over a period of time. It is referred to formation of abnormal mass of tissues in the spinal cord area. The areas that get affected the most by it are cervical, lumbar, sacrum & thoracic and it can grow from non-cancerous to cancerous if not treated in time. Memory disorders can range from mild to severe causing memory lapse from time to time. Its cause can be attributed to a number of factors including nutritional deficiencies, reaction to medication, deteriorating mental health and excessive substance abuse among others. Its conditions include dementia, Alzheimer and depression. A potentially disabling disease of the brain and the spinal cord, it is caused due to attack of the immune system on the protective sheath that covers nerve fibres. As the problem progresses, the brain loses its ability to communicate with the rest of the body leading to permanent damage to the nerves. With the help of a comprehensive brain analysis that is reached post a series of tests including MRI, CT Scan, and Echocardiogram; our team of expert neurologists suggest the further course of treatment. A series of tests including blood tests, echo, Pet scan and CT scan and MRI are conducted to determine the condition of the patient and decide upon the future course of the treatment. Right diagnosis at the right time is the key to preventing any serious damage to the brain. To help our patients detect the problem in time and get them on the path of corrective treatment, our expert team of neurologists often restore to advanced drug therapies in the form of immunosuppressive drugs to treat certain muscles in the brain. In addition to this speech and physical therapies are also suggested to help the patient cope with the trauma related to neuro disorders. With an expert by your side, you can easily defeat the problem of frequent headache & migraine. Providing you with the right kind of pain relieving and preventive medication, our expert neurologists help you not only reduce the severity and frequency of headaches & migraines and also increase the effectiveness of symptom relieving medicines. Our Neuro Sciences department has some of the best surgeons in the region, with vast experience and up-to-date working patterns. Dr. Hashmi is a Consultant in Neurology. 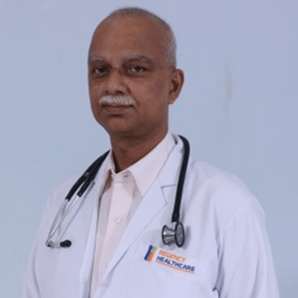 He holds a vast experience of 28 years in the field of Neurology and specializes in Strokes and Epilepsy. 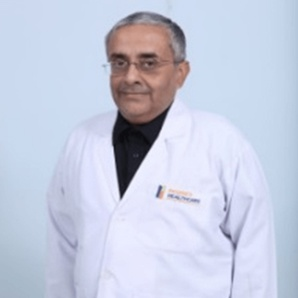 Dr. Nirmal is a Consultant in Neurology and has been working with Regency Healthcare since 1996 with specialization in Critical Neurology. 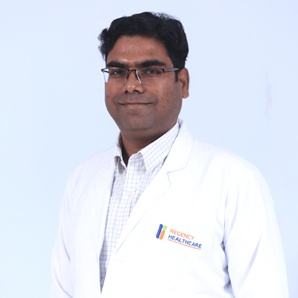 Dr. Ashwini is a Consultant in Neurology and specializes in Movement Disorders and Botox Therapy.